These students are about giving back all year long — take a look at how young people throughout Maryland, Virginia and D.C. have made a difference in their communities. 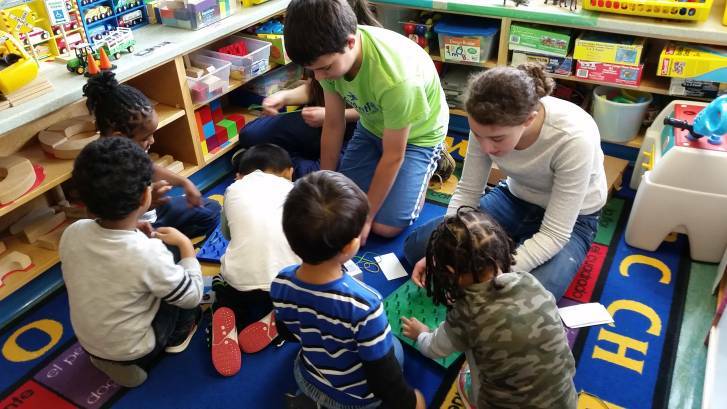 Ideaventions Academy students helped disadvantaged preschoolers by engineering STEM (science, technology, engineering and math) toys. As part of a partnership with the Northern Virginia Family Service Head Start Preschool, in Arlington, all of the kids at Ideaventions Academy first learned about the Head Start program and tried to remember what it was like to be 4 and 5 years old. WASHINGTON — While most of us have to be reminded of the holiday spirit and the season for giving, some students across the greater D.C. area have been spreading joy all year round. From bringing cheer to senior citizens with the gift of music to creating a newspaper for their local community, students in Maryland, Virginia and D.C. have been busy in 2016. Here’s a look at how local students have made a difference in their communities this year.